← Star-Size Light Blinks Twice Sharply Turns Blinks Twice. STILL IMAGE OF OBJECT HIGHLIGHTED BY WITNESS. DESCRIPTION OF OBJECT SEEN BY WITNESS. Description: This happen in Memphis, TN at 7:40 PM. My wife was driving and I looked up and saw that object. I know it wasn’t an airplane because it was dark and it had no lights anywhere plus it seemed to be still. As I started to record it just vanished it faded it away. 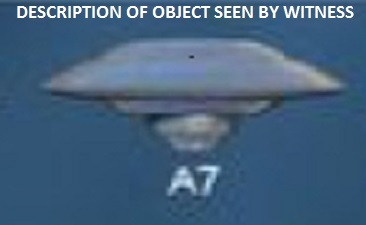 The object look like an A7 UfO in the above picture. Note: The witnesses saw a disk shaped object, but the video does not depict the shape. The witness attempted to zoom in on the object in the video. 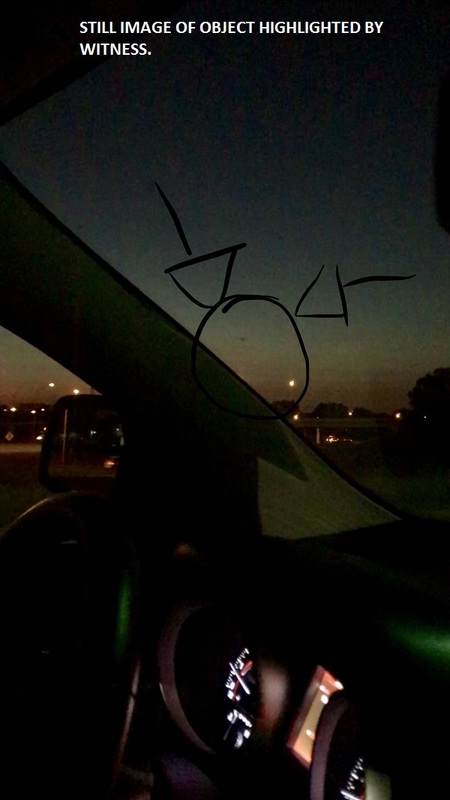 This entry was posted in Disk shaped, Photos, UFO Sightings 2018, UFO Sightings Tennessee and tagged Hovering. Bookmark the permalink.